One Dimensional LUT 3D is available for a limited time at a launch price of $10. One Dimensional LUT 3D (31D) is a material that allows you to assign a lookup based on a gradient, curve, or image to any material output. The input to the lookup can be R, G, B, A, or Y. The lookup can be defined per-channel as a gradient, curve, or image, allowing you to, for example, set colors with a gradient, but use a curve to define the alpha lookup. The result of the lookup can be blended back to the original on a per-channel basis as well. 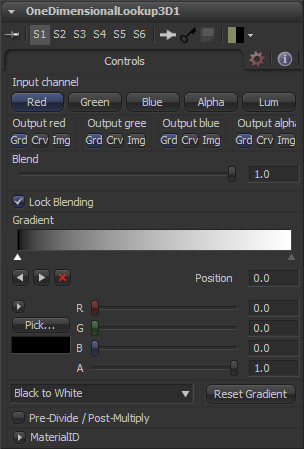 An input is provided in the flow for using an image as the lookup gradient. The colors are read along the X axis. Any image can be used for the lookup, allowing you to use whatever tools needed to create the perfect gradient. One Dimensional LUT 3D can use a shading model material as an input as well. 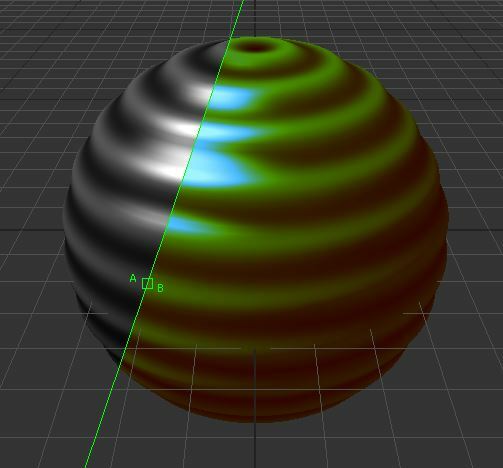 This allows easy development of new shading looks using gradients, curves, or images. By animating the lookup input, perhaps with Brightness / Contrast 3D, and including the alpha channel in the lookup, a variety of transition effects can be created. For added flexibility, as with all of the tools in our Color Bundle 3D, mask input is provided. It is applied in UVW space, so any mask used in an input texture will be aligned to the 31D material correctly. The mask accepts any material, however, so masking can be done with materials such as Falloff or Catcher, or even with shading from a Blinn or Phong. 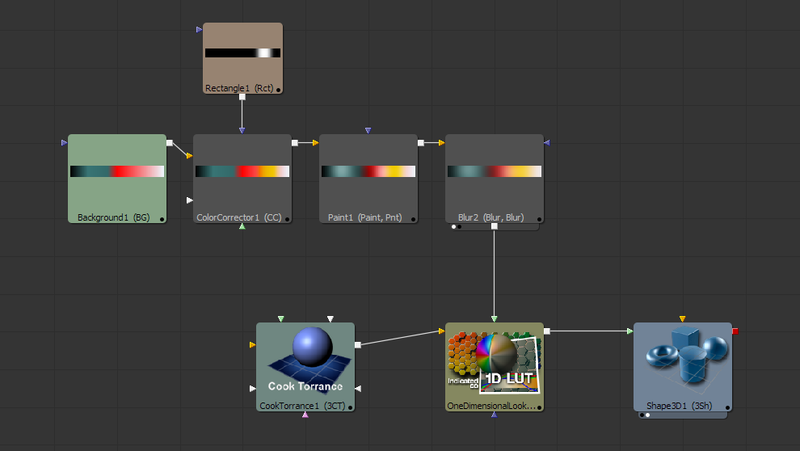 Adjust the color of any material in your scene, applied to any object or sub-object by Material ID. Mix and match gradient, curve, and image control per-channel. ~5x faster than using the standard FN tool for 3D scenes with animated color settings. Works with the Software Renderer, OpenGL Renderer, and OpenGL UV Renderer. Works with premultiplied and straight colors. 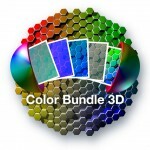 Part of the Color Bundle 3D. Our plugins come with free maintenance updates and include support for both Fusion Studio 7 & 8 (Windows only).